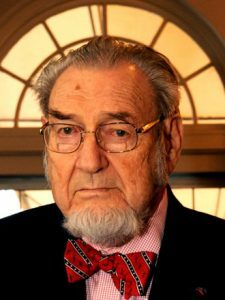 Dr. C. Everett Koop was a prominent pediatric surgeon, a commissioned officer in the US Public Health Service, and the 13th Surgeon General of the United States. Dr. Koop was a pioneer in the field of pediatric surgery, and his contributions include advances in complex surgical procedures, establishment of the nation’s first newborn surgical intensive care unit, and the implementation of a surgical fellowship training program at the Children’s Hospital of Pennsylvania. Dr. Koop was a relentless advocate for public health and health education, focusing his efforts on diet, nutrition, and disease prevention, treating these threats as public health rather than moral issues. As Surgeon General, Dr. Koop applied his skills as a clinician and healer to address the critical health challenges of the country. He became a household name, known across the nation as “America’s Family Doctor.” He was a leader in the fight to create a smoke-free nation, testifying before Congress in favor of rotating labels warning against the specific dangers of smoking, and continuing his advocacy even after the Reagan White House withdrew its support under pressure from the tobacco industry. The AIDS epidemic emerged at this time as a new threat to the public health, and he used his platform as Surgeon General to speak candidly and honestly to the nation, focusing the conversation on science and education. Can the Family Doctor Recover? Dr. Koop stepped down as Surgeon General in 1989, and returned to Dartmouth, his alma mater, where he continued his lifelong mission to educate the public on health issues in his role as Senior Scholar of the Koop Institute. “Dr. Koop was not only a pioneering pediatric surgeon but also one of the most courageous and passionate health advocates of the past century. He did not back down from deeply rooted health challenges or powerful interests that stood in the way of needed change. Instead, he fought, he educated, and he transformed lives for the better.” Wiley W. Souba, MD, Former Dean of the Geisel School of Medicine at Dartmouth. C. Everett “Chick” Koop was born in Brooklyn, NY, on October 14, 1916. He was an only child, and grew up surrounded by close-knit extended family. He expressed interest in medicine at an early age, and as a teenager he would sneak into the viewing gallery in the operating theaters at Columbia University’s College of Physicians and Surgeons. His family nurtured his aspiration to become a surgeon, with his mother administering anesthesia during his home surgeries on rabbits, rats, and stray cats. He attended Dartmouth College on a football scholarship, which he gave up after sustaining an eye injury and receiving a warning from the school ophthalmologist that he was endangering his future as a surgeon. Dr. Koop graduated from Dartmouth College in 1937, with a degree in zoology, and received his MD degree from Cornell Medical College in 1941. He pursued postgraduate training at the University of Pennsylvania School of Medicine, Boston Children’s Hospital, and the Graduate School of Medicine at the University of Pennsylvania, from which he received the degree of Doctor of Science (Medicine) in 1947. He was named Professor of Pediatric Surgery at the School of Medicine at the University of Pennsylvania in 1959 and Professor of Pediatrics in 1971. From 1948 to 1981, he served as Surgeon-in-Chief at the Children’s Hospital in Philadelphia, where he developed new procedures specific to infants and children, and established the first neonatal intensive care nursery in the nation. Koop helped establish the field of pediatric surgery on the basis that children’s bodies are not adult bodies in miniature, but are anatomically and physiologically different and so require special surgical procedures. Included among his innovations were a device to prevent anesthesia overdoses in children, and new techniques to correct inguinal hernias and esophageal atresia. He also demonstrated that once terminal conditions, such as hydrocephalus and diaphragmatic hernias, were correctable. He was the first surgeon to separate Siamese twins joined at the heart. Dr. Koop received numerous honors and awards, including 17 honorary doctorates. He was awarded the Denis Brown Gold Medal by the British Association of Paediatric Surgeons; the William E. Ladd Gold Medal of the American Academy of Pediatrics in recognition of outstanding contributions to the field of pediatric surgery; the Order of Duarte, Sanchez and Mella, for his achievement in separating conjoined Dominican twins. He was awarded the Medal of the Legion of Honor by France in 1980, inducted into the Royal College of Surgeons in England in 1982, and the Royal College of Physicians and Surgeons of Glasgow. He was also the author of more than 200 articles and books on the practice of medicine, and received an Emmy in 1991 for a five-part series on health care reform. Dr. Koop was sworn in as the nation’s 13th Surgeon General on November 17, 1981, appointed to the post by President Reagan. As Surgeon General, he oversaw the activities of the 6,000 member U.S. Public Health Service Commissioned Corps, in addition to advising the president and the public on health matters such as smoking, diet and nutrition, and the importance of immunization and disease prevention. Dr. Koop did not enter the office of Surgeon General as an anti-smoking crusader, but once he began to study smoking as a public health issue, he was appalled by the deceptive advertising and aggressive lobbying of the tobacco industry. His first official act after his confirmation was to issue the 1982 Surgeon General’s Report on Smoking and Health, the most authoritative statement to date on the connections between smoking and cancer. In May, 1983, Dr. Koop received the Public Health Service Distinguished Service Medal in recognition of his extraordinary leadership of the U.S. Public Health Service. 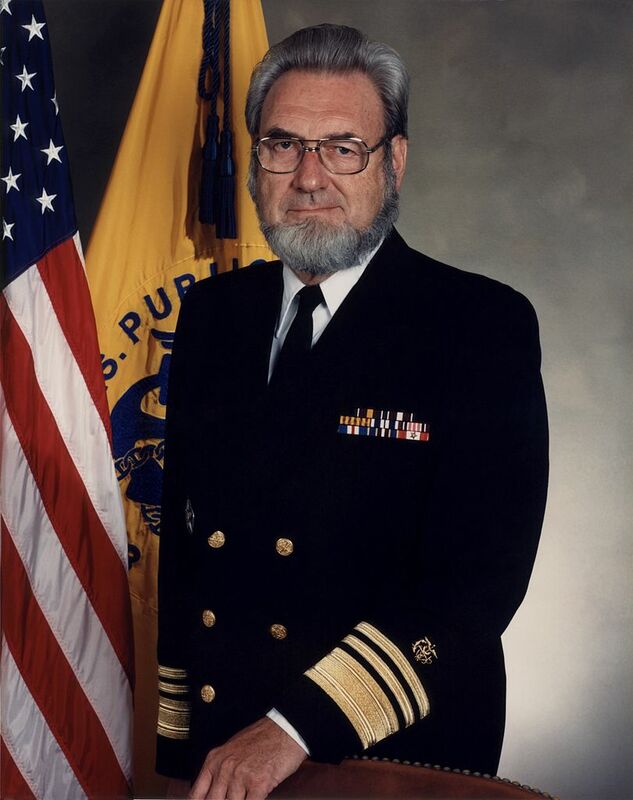 Dr. Koop’s two terms as Surgeon General coincided with the rise of the AIDS epidemic in the U.S. After being relegated to the sidelines by the Reagan Administration during his first term, Koop dedicated his time and energy to the disease in his second term. In 1986, he was finally authorized to issue a Surgeon General’s report on AIDS. It was explicit, non-judgmental, controversial and popular. It contributed significantly to providing accurate, comprehensive information on this disease that no one had heard of just a few years earlier. Dr. Koop was also responsible for the largest public health mailing ever done, when he wrote and disseminated “Understanding AIDS,” the PHS brochure based on CDC guidelines that was sent to 107 million households in the United States. Through his reports and his many speeches and interviews on AIDS, Dr. Koop did more than any other public official to shift the terms of the public debate over AIDS from the moral politics of homosexuality, sexual promiscuity, and intravenous drug use, to concern with the medical care, economic position, and civil rights of AIDS sufferers. Dr. Koop also promoted redefining the prevalent scientific model of the disease, from a contagion akin to historic epidemics to a chronic disease that was amenable to long-term management with drugs and behavioral changes. Dr. Koop proved to be an outspoken advocate on public health issues. He turned a federal office with a minimal budget and staff into an authoritative platform from which to educate the nation on matters of health promotion, disease prevention, and emerging health threats. In September, 1995, President Clinton awarded him with the Presidential Medal of Freedom, the nation’s highest civilian award. In 1992, Dr. Koop returned to Dartmouth as the Elizabeth DeCamp McInnery Professor of Surgery at the Geisel School of Medicine. 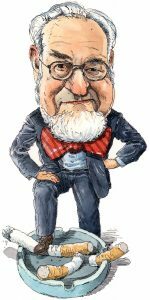 He became a founding member and Senior Scholar of the C. Everett Koop Institute, a partnership of educators, scholars, researchers, and practicing physicians dedicated to promoting health and well-being through disease prevention. Dr. Koop was predeceased by his first wife, the former Elizabeth Flanagan, and by their son, David. He is survived by three children, eight grandchildren; and his wife, the former Cora Hogue.